Here’s why. It’s been said that SUVs are the Swiss Army Knife of automobiles. Undoubtedly, they’re one of the most utilitarian vehicles ever produced, designed to drive on good roads, bad roads and even off roads. More or less, for the most part, simply point it and go. While an afternoon four-wheel trek out in the desert can be a lot of fun, SUVs can very much be a sensible choice for use on the open road and even city driving. 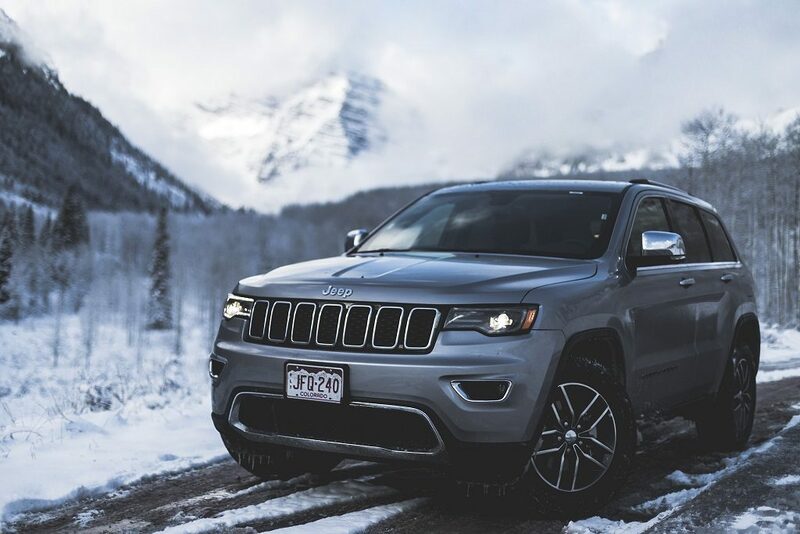 Most can seat 5 to 8 people, have power and utility, cargo space, options for varying towing packages, and are your best bet for driving in inclement weather. Even better, the days of single-digit mpg have long been replaced by fuel-efficient vehicles. SUVs are available to purchase in three varying sizes. The smallest type of SUV is referred to as a Crossover SUV. Subcompacts, compacts, hatchbacks, and Minis are all in the Crossover SUV ‘family.’ A Crossover SUV is, in fact, a car-based SUV. The Crossover is designed, manufactured and placed on a carlike frame, featuring all-wheel drive and independent suspension. The transmission can be standard or automatic, have either six or four-cylinder engines, which offers better gas mileage than the larger SUVs and trucks. Most Crossovers will handle mild off-road situations but not really challenging conditions. They are an ideal town and country SUV, and typically have the overall highest performance rating by Consumer Reports and the like when compared to other types of SUVs. When thinking Crossover SUV models think the retro-wagon, styling Chevrolet HHR, or the Jeep Patriot, Kia Sportage, or Honda CR-V.
Midsize SUVs differ from the smaller Crossover SUVs not only in their larger size, but by their frames, as well. Midsize SUVs are a truck-based SUV. The bodies of these SUVs are made on truck-like frames, i.e, the same or similar platform found on a pickup truck. The majority of Midsize truck-based SUVs are equipped with six-cylinder engines, though some models come with an option for eight cylinders (a few offer four cylinders). The larger engine size offers more power and can handle more unfavorable off-road conditions if they are four-wheel drive, and have a greater towing capacity than the smaller Crossovers. Because they have truck-like frames, Midsize SUVs generally have a little bit lower gas mileage than Crossovers. Still, because of their larger size, they offer more passenger and cargo space, and are better for carrying heavier loads. Some Midsize SUV models include the Kia Sorento, Ford Escape and Ford Explorer, Dodge Durango, Jeep Cherokee and Jeep Grand Cherokee, Chevy Blazer and Toyota 4Runner. Standard size, or Full-size SUVs, are the largest SUV. Like the Midsize SUV, they are truck-based SUVs, made on truck-like frames comparable in size to the automaker’s largest pickup truck platform. These are your traditional SUVs, offering a high driving position on the road, plenty of passenger room and cargo space, towing power, and optimum safety on slippery road conditions, and because of the size, they’re better to hold-up in collisions. Because of their size, the largest SUVs can be the most difficult to drive and should be handled the same way a full-sized truck or van would be driven. The high center of gravity makes them susceptible to rollovers on sharp turns or sudden swerves. Though some have six cylinders, Full-size SUVs most often come with eight-cylinder engines, and average 21-23 mpg on the highway. However, which makes them the least fuel-efficient of all the SUVs. Full-size SUVs include the Ford Expedition, Lincoln Navigator, GMC Denali, Cadillac Escalade, GMC Yukon and Chevy Tahoe. The popularity of SUVs actually helps make them a better purchase, too. Many are on the market. We off a wide selection of quality used SUVs. Check out our “Buy Here, Pay Here” financing options and stop by one of our car lots Phoenoix AZ. We offer in-house financing, as well as bad credit auto loans. Don’t let credit issues get in the way of you getting the SUV you need and deserve.